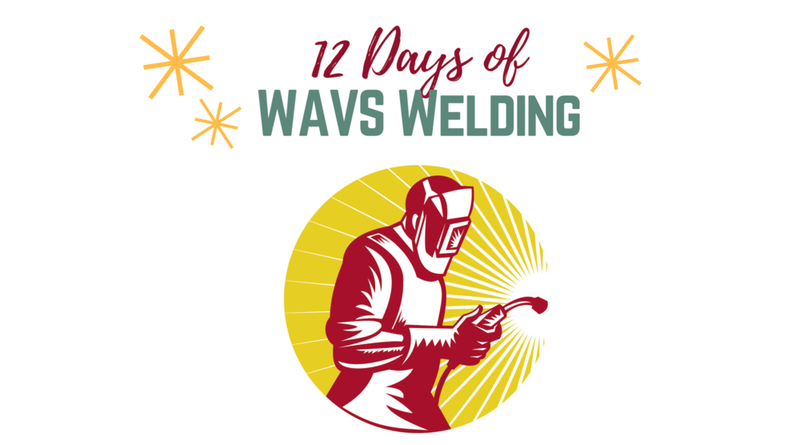 This December, we invite you to discover 12 different projects that WAVS welding students work on during their training. 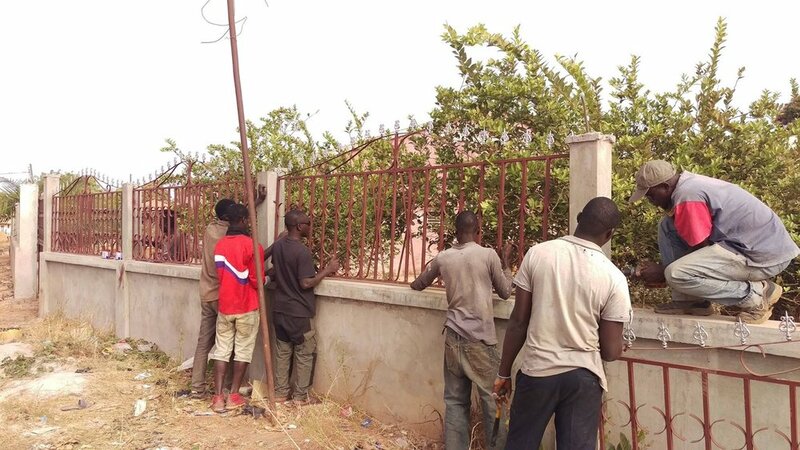 These projects are commissioned by people in the local community. 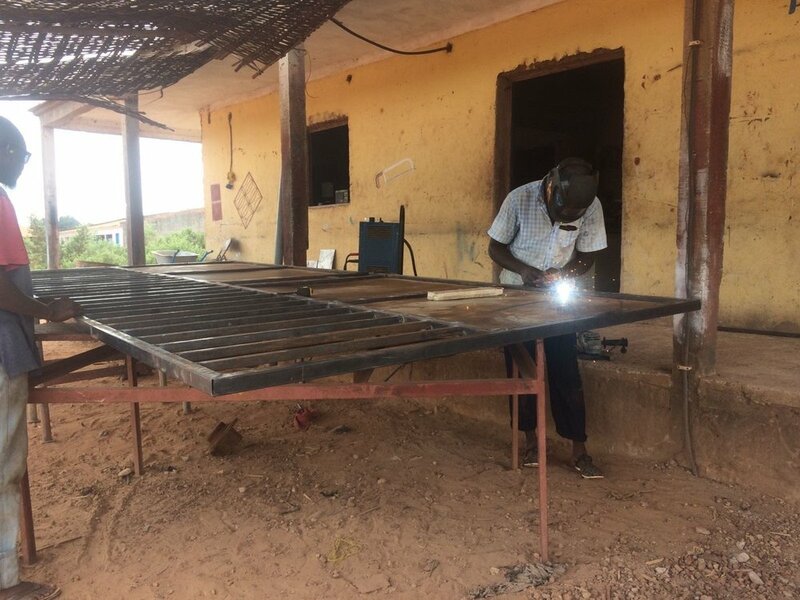 Clients pay the school’s welding department to build desks for primary schools, install windows and doors on homes and businesses, and weld together steel trusses to support the roofs of local schools and churches. TO VIEW THE PROJECTS: Click on the image below to see the next project, or use the arrows to cycle through the images. If you are viewing this page on your phone, we recommend rotating your phone horizontally. 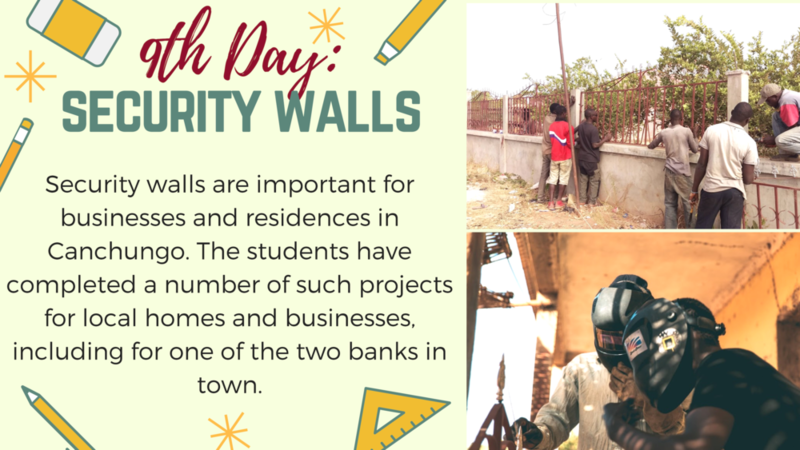 Here’s how these projects benefit the students, the community, and the school. 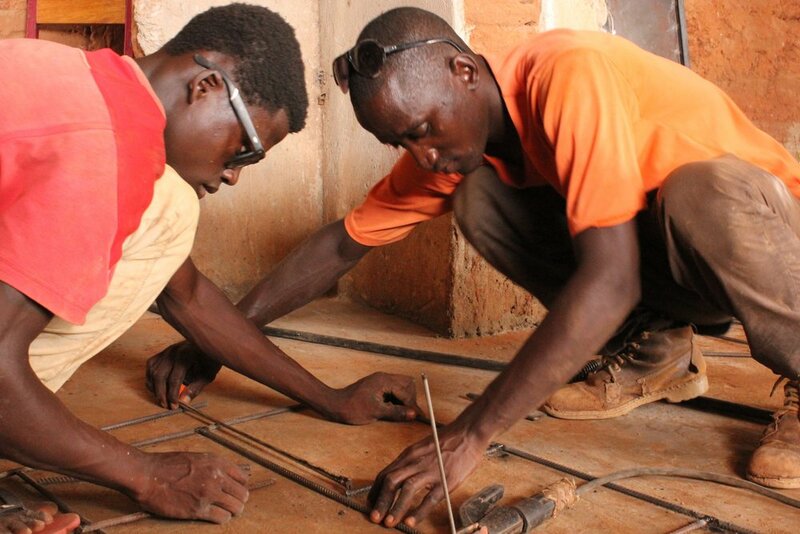 In one of the world’s poorest countries where youth unemployment runs high, students at the WAVS School in Guinea-Bissau are learning how to become welders so they can start their own workshops. The WAVS welding program is focused on giving students real-world, hands-on experience. 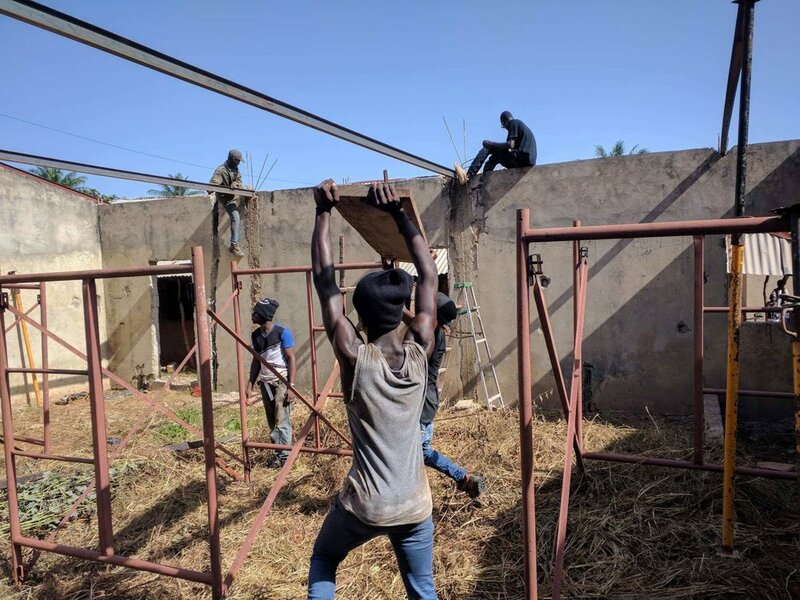 By the time they finish their nine-month course, these future entrepreneurs have made their own fish grills, built chairs and desks, welded windows and doors, and learned how to install a steel roof. They’re ready to take on any job that comes their way. 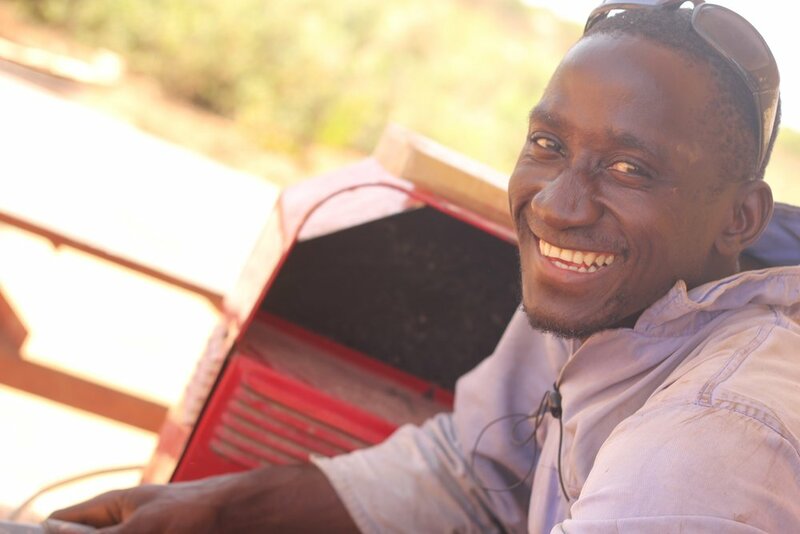 Graduates like Papa and Rumario have gone on to start their own shops and are now able to provide for themselves and their families. 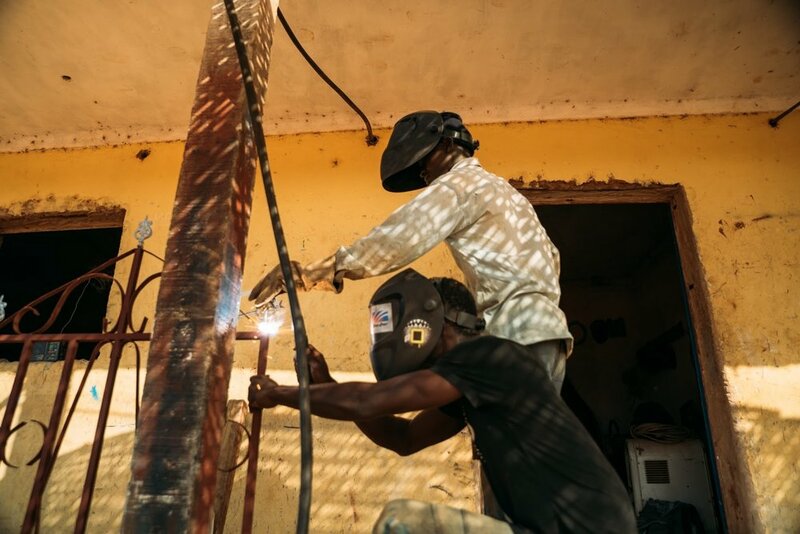 Because of the school’s reputation for quality work, people in the community often hire the welding department to work on a wide variety of projects. 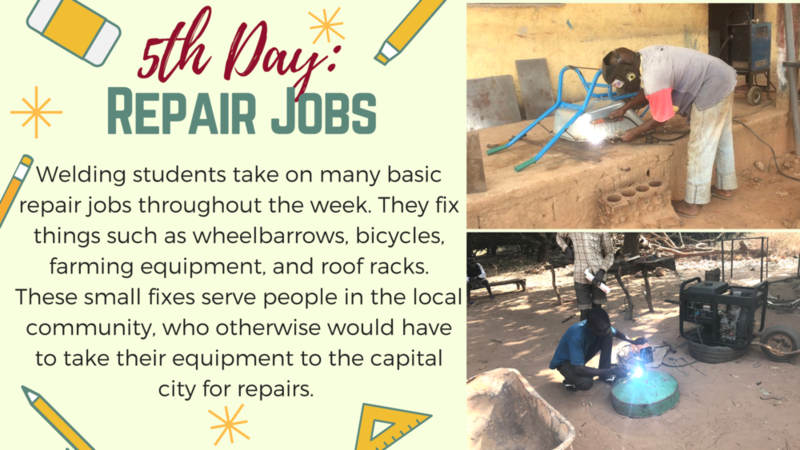 Students provide simple services such as repairing broken wheelbarrows and bicycles. 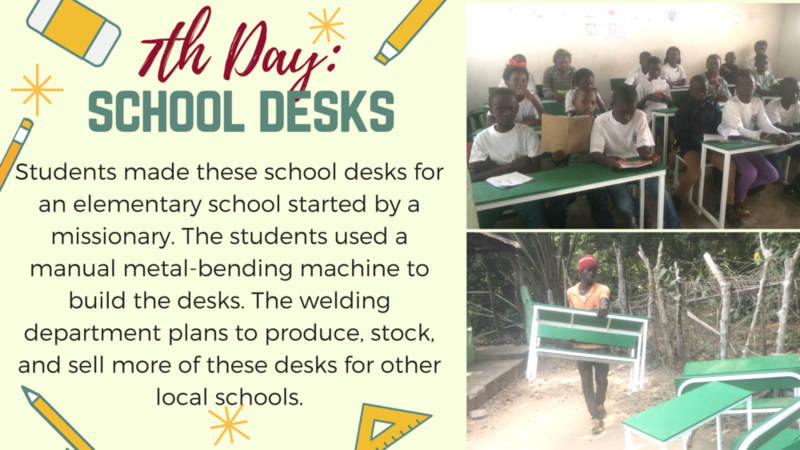 In addition, the school is the only place in the community for some specialized services, such as the construction of roofs and desks for local schools (like the ones in the photo), and building custom benches for village churches. 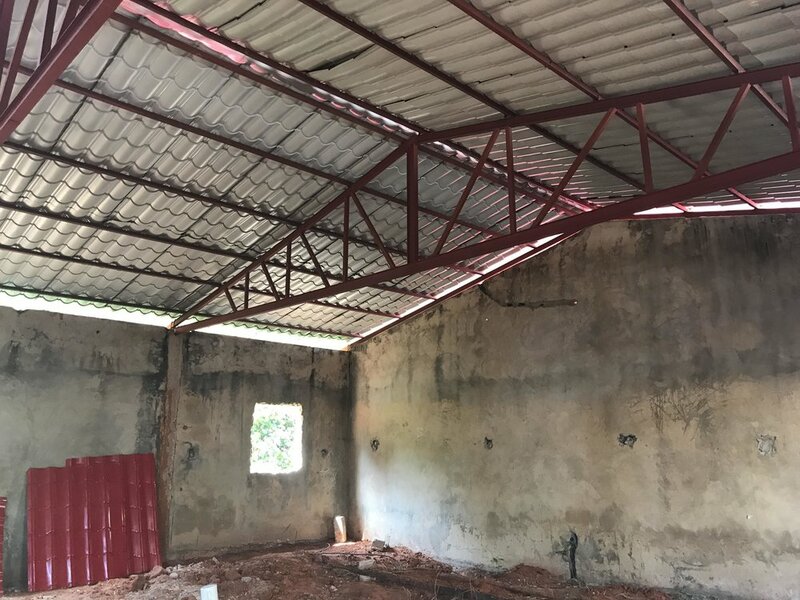 Many people in the community first hear about the WAVS School when they learn about one of the welding projects the school has completed. 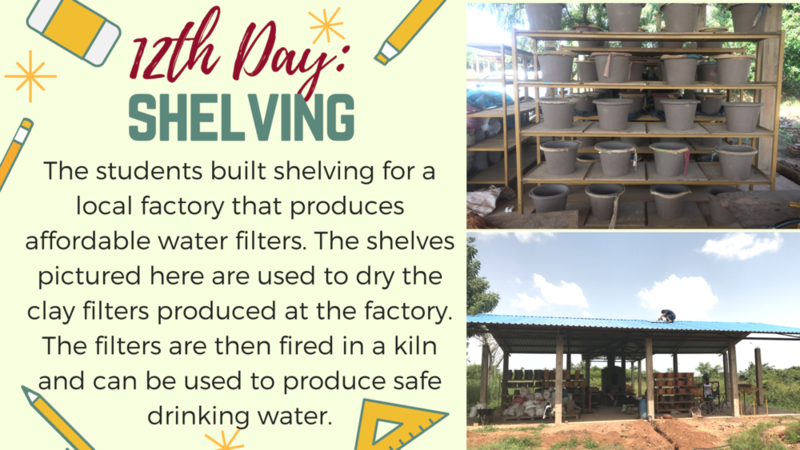 The projects that the students complete provide revenue for the school. This income — along with the financial support of WAVS Teacher Sponsors and donors like you — help keep the cost of tuition affordable for all WAVS students. 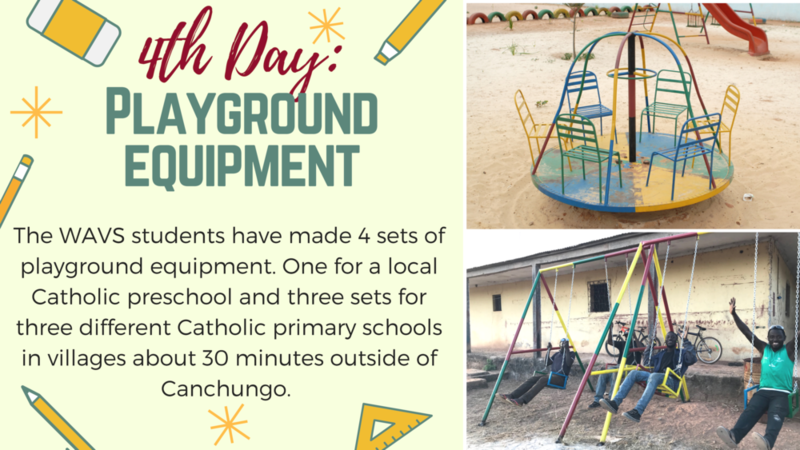 Thanks to continued revenue growth from these projects, the school is becoming more financially sustainable each year. In 2017, the school generated revenue from tuition and welding projects that covered 40% of its expenses for the year. 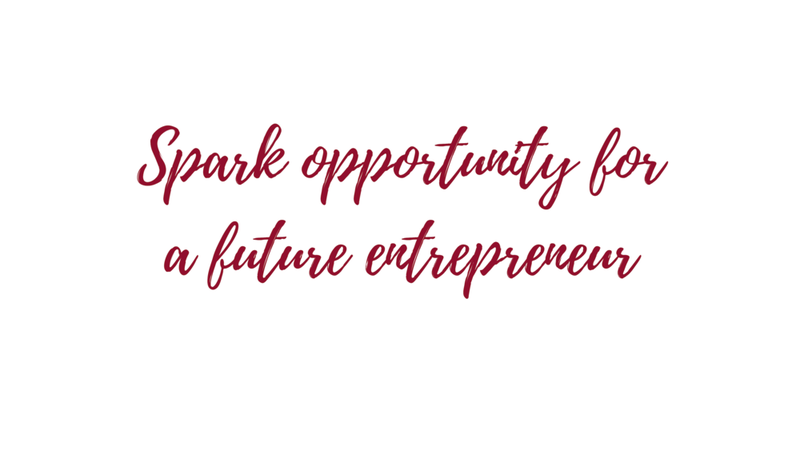 This holiday season, we invite you to Spark Opportunity for a future welding entrepreneur. 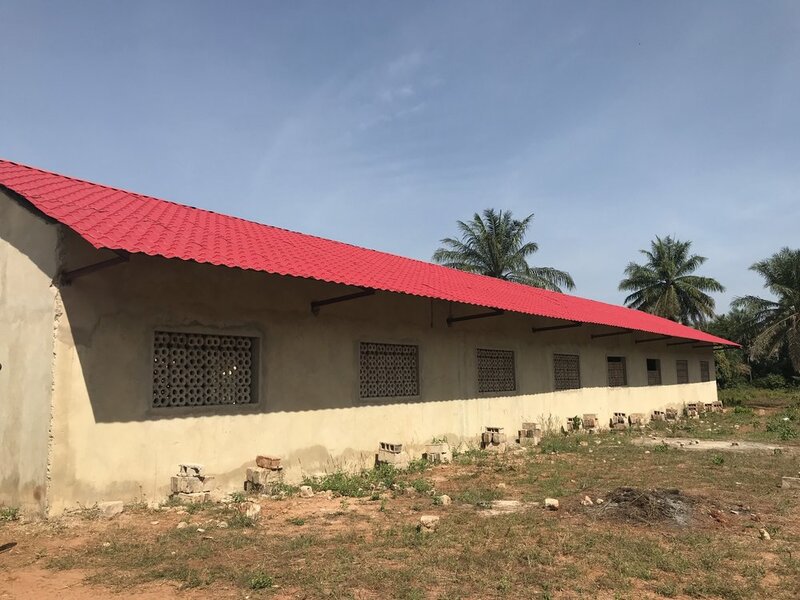 Your gift today will help train 20 young people in the next school year with the skills they need to provide for themselves and their families — for the rest of their lives. Qualifying graduates will also receive welding starter kits through the WAVS New Entrepreneurs Program. Meet Agusto. 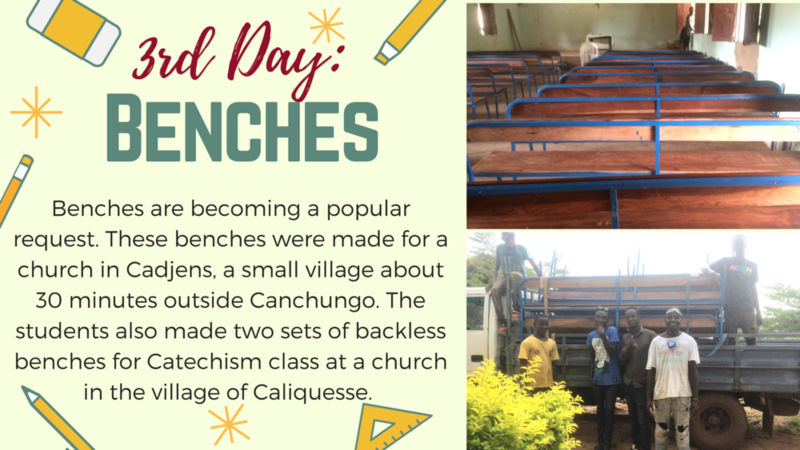 Crouching under a large cashew tree beside a dirt road, Agusto carefully welds together two metal rods. Chickens peck at the ground around him. Neighbors stroll by. 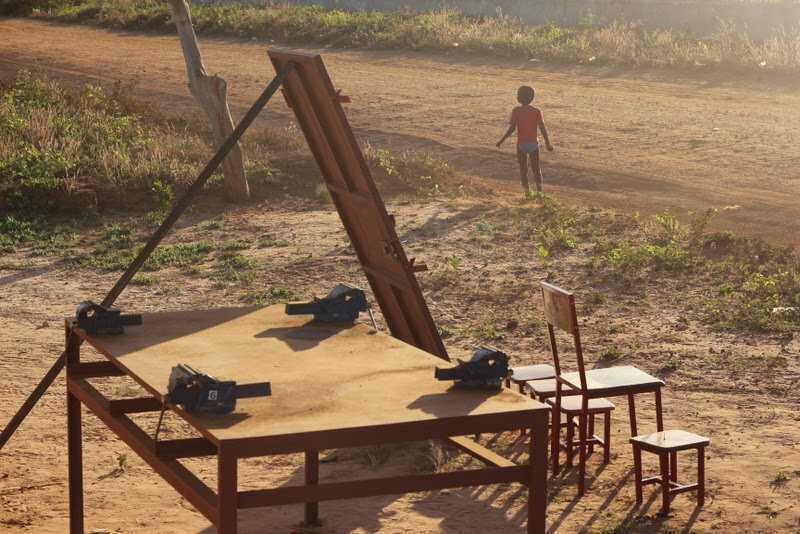 A generator whirs in the background. 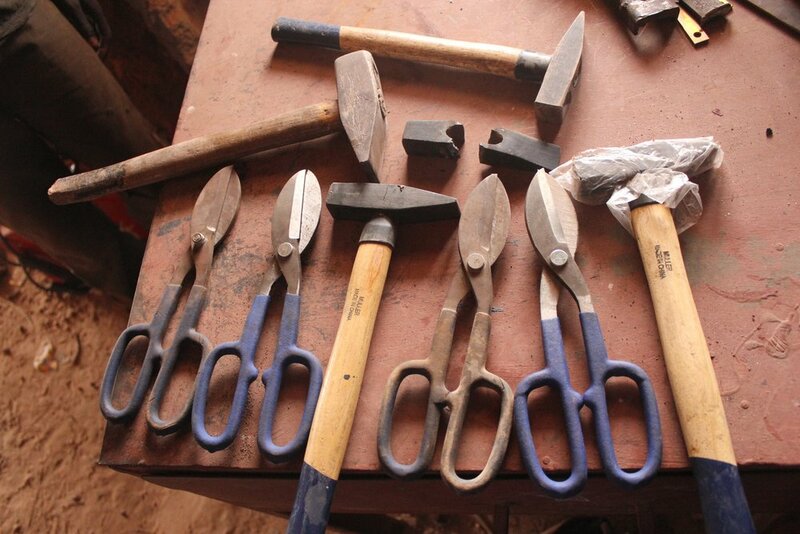 Welcome to Agusto’s welding workshop. 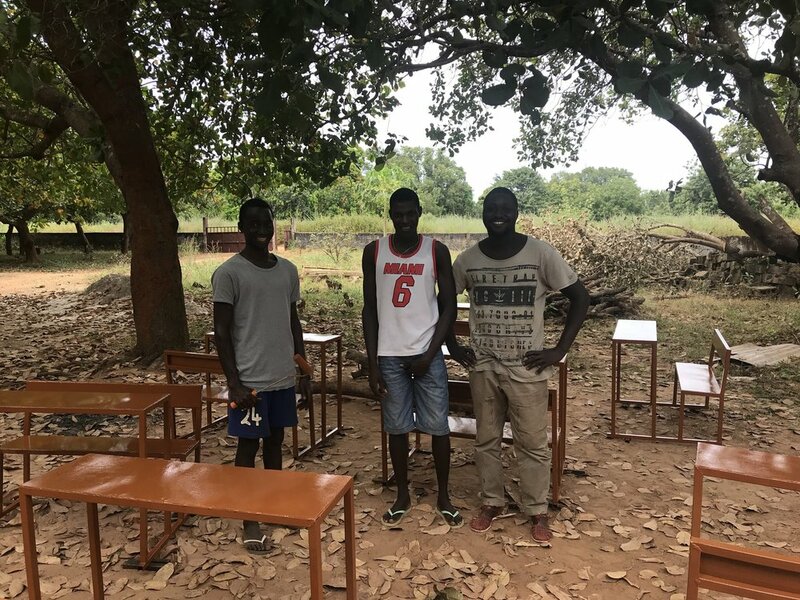 As simple as it is, this open-air workshop represents real transformation: It’s a major achievement for a young man who, facing a life of certain poverty, chose to equip himself with a job skill that now gives him the ability to provide for himself and his family for a lifetime. All he needed was the chance. 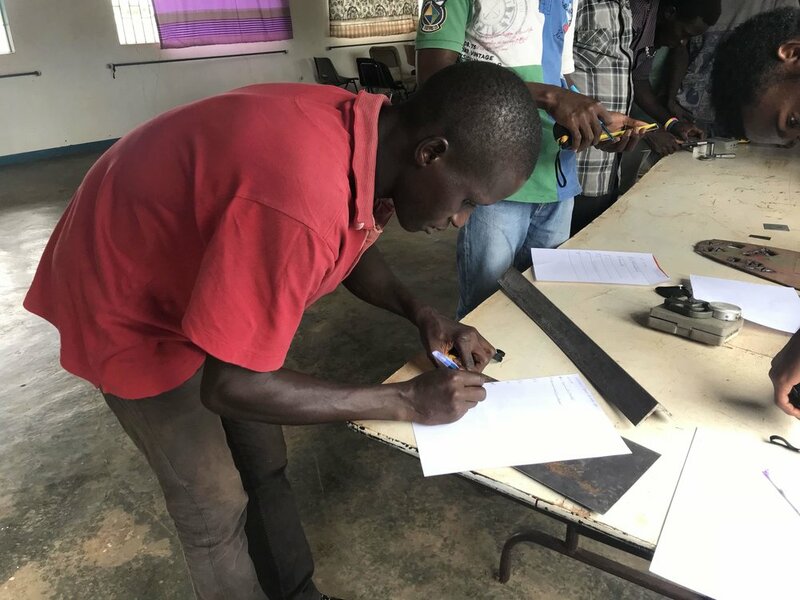 “I’m ready,” Agusto says while showing off his workshop and the new welding tools he purchased through the WAVS New Entrepreneurs Program. “If there’s an opportunity, I can go for it.” And he did go for it. Today, the more than 250 young women and men who study at the WAVS School each year are going for it, too. 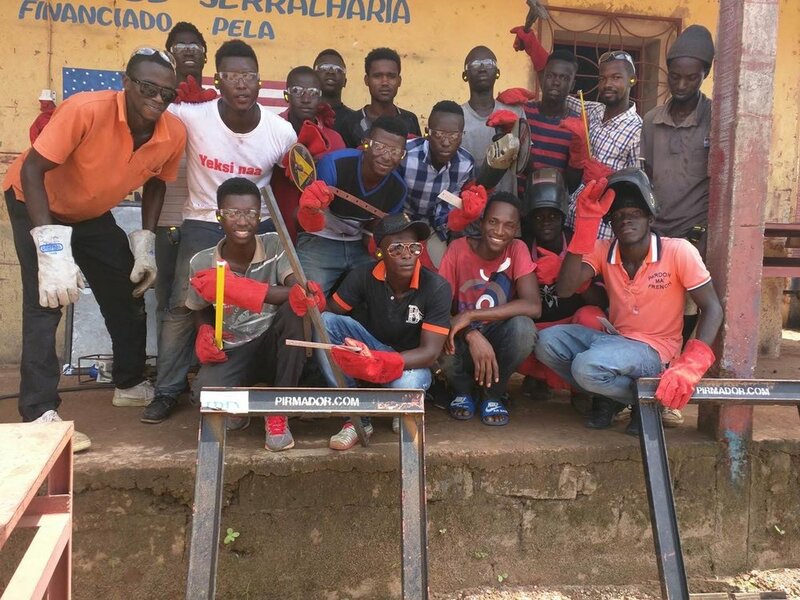 They are learning English, French, computer basics and welding – skills that will prepare them for a life of self-sufficiency. 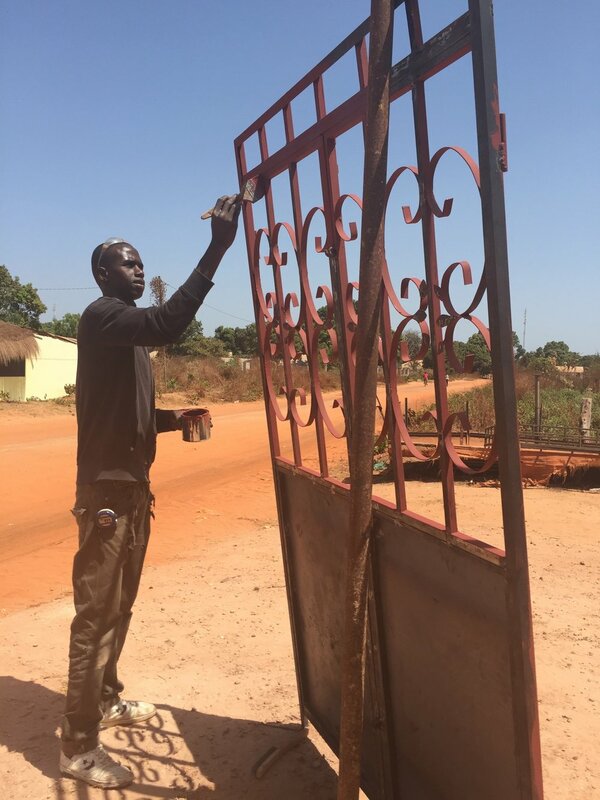 They are beating the odds in Guinea-Bissau -- a country where poverty, political instability and a lack of opportunity make it one of the most difficult places in the world to live. They are transforming their own lives, and in turn, transforming their country.